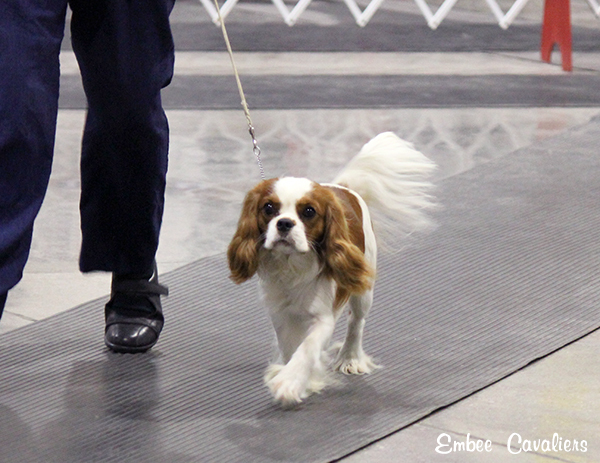 The Caledon Kennel Association held their annual show at the International Centre at the end of November. 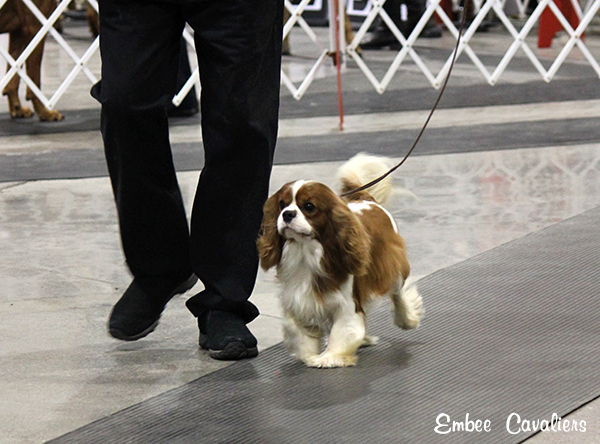 It is one of my favourite shows in the area and I am always excited to enter my dogs. This year i missed the closing date, I was on the fence about showing and ended up being out of town on the last day to enter. Most of my guys are either young and maturing or a bit out of coat. The good news was that even though I didn’t enter, I had the opportunity just to go and watch, something I should do more of. I watched the entire Toy specialty and it was fabulous. My old camera was acting up a bit but I did get a few photos to share. 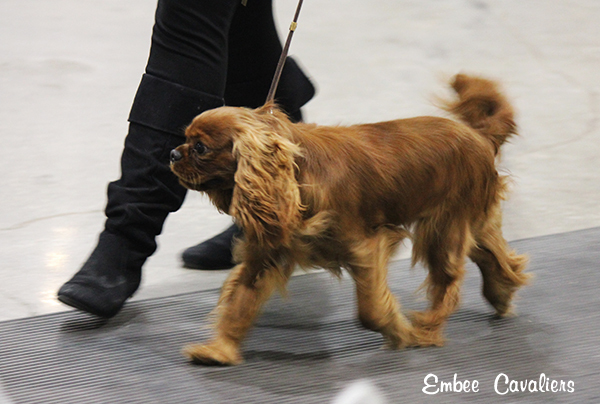 This gorgeous ruby boy is a Loki son, I think he’s one to watch for the future. Big dark round eyes and a beautiful expression, I’m in love! 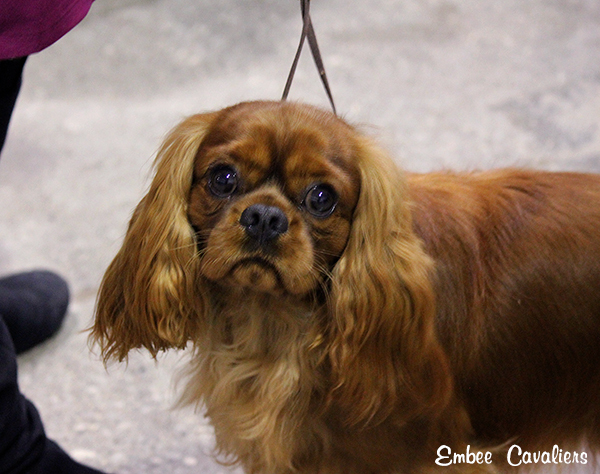 This beautiful blenehim boy below is Cody, owned by my good friends Marianne and Bob at Cempa Cavaliers. At the Toy specialty he finished his Canadian Championship by going Best of Breed over several specials, placed 4th in Group and ended up Best Bred by Exhibitor in Specialty. What a day for them! Norma also showed Mr. Rex. 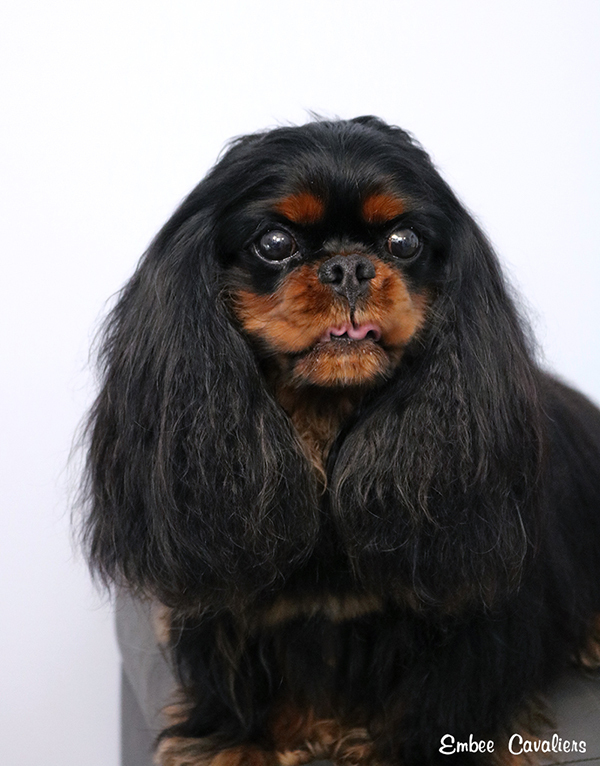 We co-own Rex but if you ask him he belongs 125% to Norma. 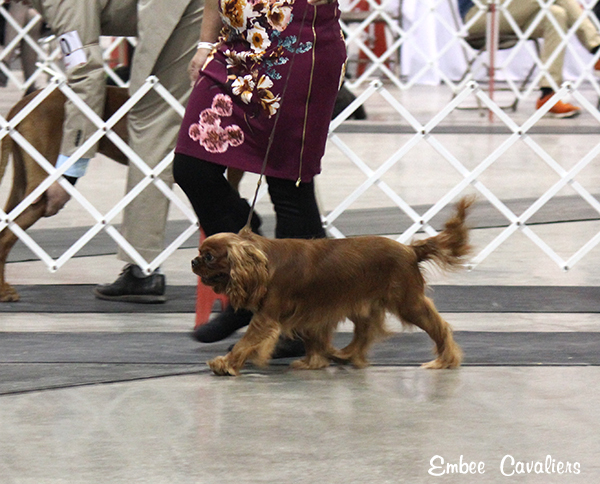 He showed really well and was Winners Dog in the morning show for two more points towards his Championship. He needs 1 point to finish his title. 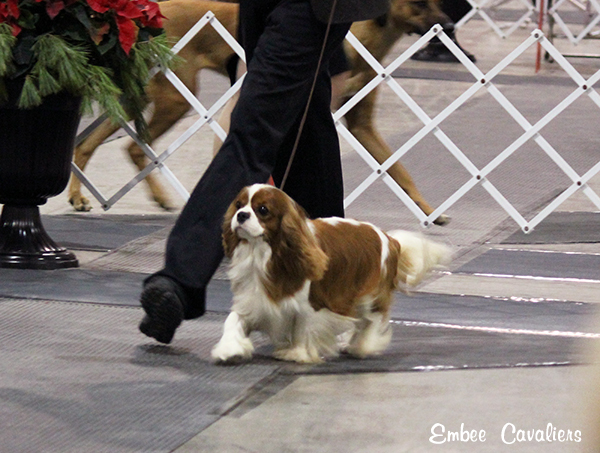 The next show for my guys will be Elora Gorge Kennel Club in Kitchener in between Christmas and New Years. My other exciting news here is that my new camera arrived. On our last trip to Hawaii I dropped my camera on a cement floor. It was still working but damaged, the focus was never completely correct again. My first test subject was Loki, he had just had a bath. He normally hates his photo taken but I have finally learned what he can’t resist working for, peanut butter. 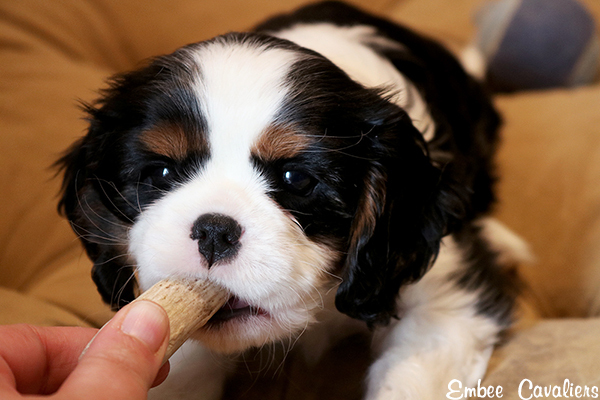 Look at this adorable peanut butter face and tongue! Most importantly though.. in focus. This one is slightly out of focus but this adorable expression kills me. Love my stinky boy. My next test subjects were SO CUTE. I went and visited a good friend’s puppies. She was evaluating them as potential show prospects and wanted another opinion. 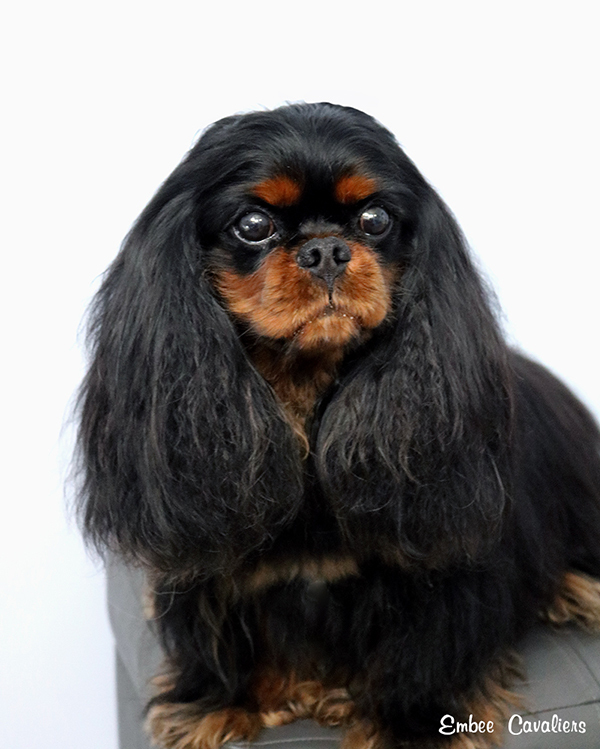 I won’t tell you who as I don’t want her over ridden with puppy inquiries (they aren’t available) but needless to say I am enjoying my new camera and her puppies are very nice. 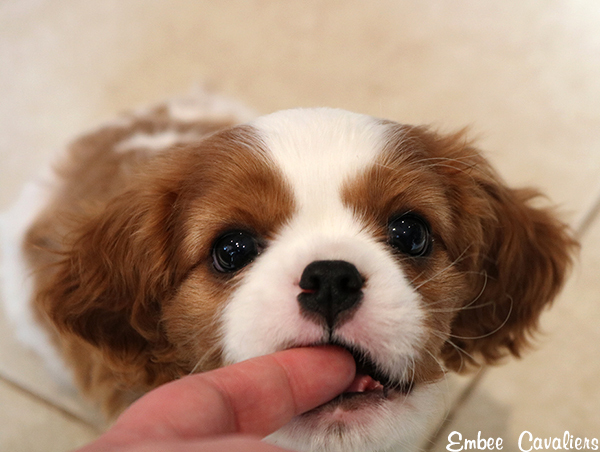 For those who are interested in Cavalier “essentials”, check out Embee Creates. It’s not super fancy so if you have any questions about sizing let me know. I’ll be posting snoods, pajamas, drying coats, etc as I have them available. In this house, they are all things that we use often. I am not taking custom orders so check the page often if there is something specific you are after. I sew them all myself. If you are near Kitchener and want something to do over Chirstmas, feel free to come and visit us at the Elora Gorge show!